Following the signing of an air services agreement between Russia and the Philippines, four carriers from the Philippines have applied to operate flights to Russia, The Manila Times reported on Monday. Cebu Pacific, Philippine Airlines (PAL), AirPhil and ZestAir have filed allocation of entitlement applications with the Philippines Civil Aeronautics Board, according to the paper. Cebu Pacific wants to operate Manila-Moscow-Manila and Manila-Vladivostok-Manila services three times a week, the paper said, adding that AirAsia affiliate Zest Airways wants to fly from Kalibo to Vladivostok and back four times a week. 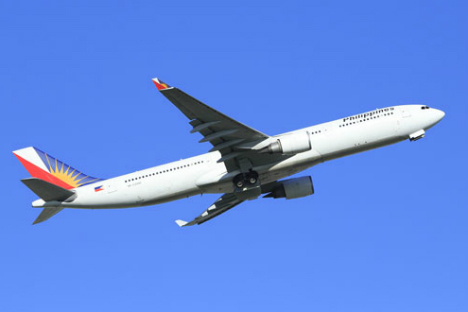 PAL is looking to operate a Moscow-Manila-Moscow service five days a week, Manila-Khabarovsk-Manila service thrice a week and a Cebu-Khabarovsk-Cebu service four times a week, according to the report.